Marshall Dallas, the Chiec Executive of the Edinburgh International Conference Centre (EICC), has scooped the public sector director of the year at the annual Institute of Directors (Scotland) awards. Mr Dallas will join fellow Scottish award-winners as they progress to the UK Director of the Year Awards in London in October, after winning the recognition at a ceremony last week at the Crowne Plaza in Glasgow. 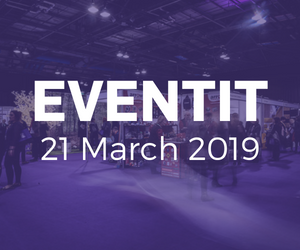 The EICC reported a record year in 2017 with delegate numbers up against the previous year – 94,000 delegates attended around 200 events at the venue – while operating profits rose to £1.2 million and economic impact for the city was up at approximately £55 million. 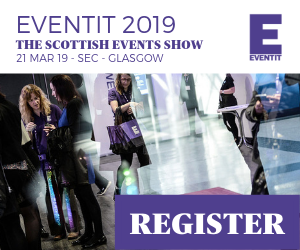 Scotland’s capital benefited from an increase in economic impact generated from more UK and international associations and corporate firms choosing Edinburgh and EICC for their meetings. Whilst highlights in 2017 included Barack Obama making his first keynote speech outside the US when the former US President addressed over a thousand business and political leaders at the venue last May. Opened in 1995, the remit of the Edinburgh International Conference Centre (EICC) is to drive economic impact to the city and to date has helped around £550 million to the local economy while hosting over one million delegates and 3,000 events. The EICC is owned by the City of Edinburgh Council and operates at arm’s length as an independent commercial venture. Edinburgh is the highest ranked UK conference destination outside London according to leading global industry body, the International Congress and Convention Association (ICCA).